I have this terrible admission to make. And, seeing that the F1 world has gone dead on the news front, it is as good a time to confess as any. My problem, you see, is a gnawing doubt about Kimi. Well, it is not really a doubt - more of an uneasy feeling deep down that we are all missing something. I have been through the usual path of Raikkonen fans, cheering him through his days at McLaren, distraught at every car failure that robbed him of wins, certain that he was the fastest driver in F1. Yet always there was this nagging misgiving at the back of my mind. Why does he throw it off the road so needlessly sometimes? Why has he not blown Massa into the weeds yet? Why does he look so determined at one race and then apathetic at the next? It is all very well blaming it on his enigmatic personality but that explains nothing. The fact is that he is completely unpredictable and it is probably this that makes me doubt him. The thing with Kimi is that we'll forgive him anything. At McLaren we invariably blamed the car and, when he moved to Ferrari, it was the tires or the set up, anything to explain Massa's early season ascendancy. We do not give most drivers such leeway; Hamilton has a couple of bad races and immediately we're talking of the balloon bursting, Sutil has a run of bad luck and the hype of last year is immediately forgotten. Not so with Kimi - there has to be a good reason for his failures and we will tie ourselves in knots looking for it. I suppose we have invested too much hope in the guy over the years to abandon him just like that. And that makes it easy to forget his mistakes in Melbourne and remember only the dominant win in Malaysia. But the next time he heads for the scenery, apparently through inattention, can you honestly tell me that no doubt creeps insidiously into your mind? The really awful thing is that I have begun to wonder about that fastest driver title too. If he were, surely he would have dealt with Massa by now? And he hasn't, you know, in spite of his championship; we all know that Felipe gave him that one in Brazil. Must we admit that Massa is on a par with our hero? You see where my doubts are coming from? Kimi really does not live up to our expectations and I grow weary of looking for excuses. I never had to do this kind of thing for Alonso - he made it clear that he was fiendishly quick and never faltered until teamed with Hamilton. Even then, he did not lie down and take it. We may not have liked his reaction to being challenged but he was prepared to fight the world, such is his belief in himself. That is the stuff that champions are made of. We may laugh with Fisichella at the rough justice of Alonso's awful Renault this year, but the truth is that Fernando is doing wonders with a complete dog. Equally, we may turn against Hamilton after a couple of failures but the likelihood is that he will bounce back. As Nick Heidfeld said recently, he has raced them all before and beaten them. I am not saying that Kimi won't be champion again this year - he has the fastest car at the moment and, if it stays that way, he has only Massa to beat. But can you honestly say that Raikkonen is bound to win that battle? Judging from last year, it could be a very close-run thing indeed. Fortunately, I do not have to worry about all this too much. By moving To Ferrari, Kimi automatically lost my support and now I am free to back someone both quick and consistent, someone with the guts and determination to fight through adversity (and deal with a highly-rated rookie team mate at the same time). But Ferrari fans should be a whole lot more worried than they have been for years. Clive, maybe you overlooked something here. When Michael was around, we wanted to find someone as quick as he. If for no other reason, just to have something to talk about besides Michael. Now, Michael is retired and there is no one who stands out as THE superstar of F1. Was it Alonso or the Michelin tires for two straight years? It is who ever deals with the circumstances of the moment appears to be the fastest driver in F1. Frankly, I find it impossible to compare drivers from different teams in F1 because you can never remove the car element. Heidfield may have beaten them all in his day, HHF was said to be faster then Michael in sports cars and did not beat him in F1. Who is the very fastest? It depends on the day as you say. But certainly Kimi is among the top 3. I think that's a very sensible attitude, Aracer - the fastest driver on the day. But we always want to make things simpler by having someone we can say is the fastest - period. That's what we say about Senna and that's what we say about Schumacher. Where Raikkonen scores is that we said it of him when Michael was still driving - we wanted him to be faster than the Shoe. And it has taken time and a lot of disillusionment to make me realize that Kimi never was. Although in all fairness, he did a heck of a lot with the 1999 Jordan. hope you have your flak jacket on, that's the second nice thing you've said about alonso with 7 days. gotta love ya. 2 weeks ago everyone had massa writing his own obit, wins a race and he's kimi's equal. i've never really liked the kid going to ferrari either, but at the time it sort of made sense and i was having my own doubts about mclaren. next week, who knows who's going to be shoved off the roost? i like kimi because i like kimi. i liked prost because i liked prost. no logic to it besides they were both fast and i found them a little more interesting as human beings. is kimi overrated? i doubt it. he's just not flash is he? But don't blame me for the roller coaster ride on Massa - I did stick up for him when everyone was taking potshots, you know. Never have, even when he was with McLaren - and I have been a McLaren fan from day one. I think Kimi's problem is that he just wants to go fast. That's it. He just wants to get out there and run away with it. He has no race craft, not interested in looking after the tyres or engine or driving smarter than everyone else. That's where he is not a match for someone like Alonso. And if he can't go faster, then he just doesn't give a ****. There's probably a lot of truth in what you say, Peril, although I think Kimi has been trying hard to be more concerned about racecraft since going to Ferrari. Funnily enough, that's one reason I like him though - the all out racers are always more interesting to watch than the strategists. Kimi has a tough job winning over the fans. He is so emotionless in a sport filled with emotions. He does his talking in the cockpit, and also in a gorilla suit. He is trying to make Ferrari fans think they no longer need Michael without any personality involved. "All that you guys are saying just confirms that the Kimster is a racer through and through - give him an old cardboard box to use as a sled and he’d race it, just like Gilles Villeneuve used to. One of the reasons people love Kimi is because he is there to race and nothing else, no politics, no mind games, no status seeking, just show him the car and he’ll race. To those of us who remember the great racing drivers, he is like an echo of an age long gone, a reminder of a time when drivers raced for love of the sport and not for money, when business was something done by men in suits in dingy offices and not by guys in helmets. Who gives a flying f**k whether he knows how to set the car up - he doesn’t need to, he drives what he’s given and makes it go faster than anyone else alive could do. That’s what a real driver is and it really doesn’t matter whether he ever gets the championship or not - he’s the best and we all know it." By the way, getting that comment posted was a trial. I tried Opera, then Firefox. "ERROR: Incorrect, try again." It finally took IE to get rid of the error message, and get my comment in. And I really hate using IE. Hi Rohan, thanks for the comment. I'm the resident developer on F1 Insight. I'm surprised to read your comment, as a Firefox user my stuff is tested in FF before it ever sees IE so it does normally work in FF and Opera. If you have time and feel like it can you expand a little on what went wrong? Test comment. Please delete, if posted. Well, it's working with Firefox now. The error I was getting (which I still am, with Opera), is that after I post the comment, I get a message "ERROR: Incorrect, try again." right below that rectangle where the code is displayed. Whatever I'd typed in all the text boxes is retained (except the text box to enter the code, which is reset). Thanks a lot Rohan, I'll look at the captcha code and see if I can get to the root of the problem. The thing is, with Opera, the code it asks me to type in is the same one (328178) every time I access your page. Maybe it's a problem with Opera. I do use a slightly older version (9.23). I think you are being a bit hard on Kimi Clive. Massa on occasion may match him and beat him but on occasion Rubens beat Schumi and in Austria two years in a row completely blew him away. For the first half of last season I posted who knows how many comments on various sites telling anyone who wanted to argue that there wasn't a hope that Massa was better than Kimi and I still believe that. Kimi may not have the metronomic consistency of the top line drivers but he is on a different level from Massa. The fact that Massa managed to keep his car pointing forwards for an entire race distance should not be something that is worthy of the praise he has received. At the start of last season when Kimi was struggling and Lewis had finally appeared on the radar of people whose only racing interest is F1 everyone spoke of the top four GP drivers. Now people talk about the top three drivers. It almost seems like the Massa fans don't even rate him in the elite group. Over the course of any season Kimi will beat Massa. Last season Massa knew the car, the team, the tyres and he had Michael Schumacher downloading information to him. If he couldn't comprehensively beat Kimi with all of that advantage he is never going to beat him on equal terms. Now all the toys have been switched off Massa is at a big disadvantage because he was over-reliant on them. I think Kimi is probably faster than Alonso but I don't think he is as good as Alonso and as team mates that should give Alonso an advantage. Unfortunately Fernando is not mentally strong enough to deal with a faster team mate so I would expect Kimi who knows the car and the team to beat him at Ferrari next season if Alonso does move to Maranello. If Fernando can learn to take the approach Lauda took with Prost in 1984 he should be able to get the upper hand but I don't think he has reached the stage where he can accept that another driver is faster than him and I get the impression that he is one of the group of drivers who never will accept that he is not the fastest man on the planet. Let's remember all we read on these pages is OPINION often not supported by fact. Massa/Kimi; Kimi/Massa up until the 14th race last year Massa was tied in points with Kimi, a DNF then tilted the scales. 14 races and tied in points, I find that hard to convince me that Kimi is significantly better. On the other hand remarks have been made that Massa is already forgotten by I will never forget, nor should any of us, Kimi is 2007 Champion ONLY through the efforts of Massa'a second place finish at Brazil, displacing Alonso to 3rd. Sacrificing a sure win at one's home GP to promote his teammate is worth more than the championship, Massa IS a Champion. PERIOD. In similar circumstances, I wonder if Hamilton would have finished second to award the Championship to Alonso? Aracer: And it's a very effective technique. I would think that Kimi is easily the most popular of today's drivers and he has done that without trying. We just like the way he drives, I think. Rohan: Yup, it's the same guy who wrote both articles. And I stand by them both - the first is about Raikkonen's popularity with the fans, the second about the nagging doubt that accompanies my liking for him. They can co-exist! Thanks for sticking with Mad through all that problem identification. I don't have anything to do with the coding on the site so it's quite hard for me to give answers to those who have problems in its use. Hopefully, Mad will be able to get the last remaining vestiges of this particular glitch sorted and we will be able to comment uninterrupted by gremlins again! Steven: It is precisely the things about Kimi that you mention that cause me this doubt. I, too, expected it to be no contest with Massa when Kimi went to Ferrari and I was surprised as anyone that it took so long for him to put the Brazilian in his place. In fact, he has not really done so even now, as Bahrain demonstrated. I agree totally with your assessment of Alonso, however. In similar circumstances (out of contention for the championship and with nothing to gain by going against his team mate), I'm sure Hamilton would have deferred to Alonso, Number 38. You must admit that I have given Massa due credit in this post, however, pointing out that he is much of the reason for my doubts about Raikkonen. The fact is that Kimi has not outperformed Felipe as yet and we need to admit that fact and face it. And we like a guy who is drunk in a gorilla suit! Clive, a talented, local sprint car driver here in California named Jimmy Sills, entered races under the name of 'Luke Warmwater'. About Kimi not stamping his authority on Massa, well, his troubles in the early part of the season have been much discussed. But if you look at them head-to-head post-France, last year, you'll find that Raikkonen has been convincingly on top. In all the races since, Massa has finished ahead of Raikkonen in only 1 race (except, of course, Bahrain). Even in that race (Turkey), it was a mistake in qualifying that did Kimi in. In the race, he looked faster. Having said all that, statistics is a pretty crap way of comparing sportsmen. And you have certainly watched much more motor racing than I have. I agree that statistics are a bad way to compare drivers, Rohan, although sometimes they can show up things we miss. My methods of assessing drivers have a lot to do with gut feelings having watched them race, rather than just looking at the figures. As regards Massa handing the championship to Kimi, I agree with your assessment there too - championships are won over an entire season and matters of luck and retirements in the early races have just as much influence on the result as do the later races. It just looks as though the final few races are all important. But your quick overview of Raikkonen's career says much more than you realize, I think. As well as pointing out the years when Kimi dominated his team mate, it also shows the seasons when he did not. Yes, we can find reasons for that but should we have to? It seems to me that Raikkonen remains a bit inconsistent, sometimes appearing to be the quickest and then suddenly and inexplicably mediocre. That's why I have this nagging doubt about him. Personally for me it's that Kimi after his relaibility woes at McLaren has desperately tried to be come consistant like Alonso always was when they fought for a championship. 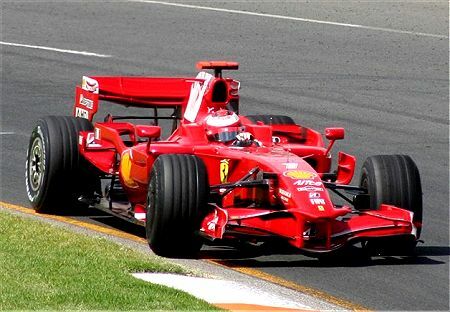 You could see Kimi's blistering pace in some races, in others he blew up after showing it. I think he may of realised that part of the consistancy woes was that he pushed the car too hard. However, I still think he's just as fast as he once was but in a different way, his version of trying to keep consistant is sort of running around mediokerely one race and the next stomping everyone. Not going for every race within limit. Like Bahrain, he got second without fighting particulaurly hard and well, with his past consistancy woes, why fight on close to the end when he knows what happens when he does that. You still see glimpses of that raw pace and personally, I'd say he's still the fastes out there in F1 but I'm a bit bias on this. Last year as well, he scored the most race wins which you can't forget. If someone can get the most race wins without looking particulaurly strong at times then he must be good but that's my opinion. Still not impressed my Massa either. Doubt I ever will be.